Thanks for a great 2018 Pike Street Stroll season! BUT You don’t need a Stroll to visit Pike Street! Stop by to enjoy our shops, restaurants and galleries at your own pace! See you on Pike! Welcome to the Pike Street Stroll! 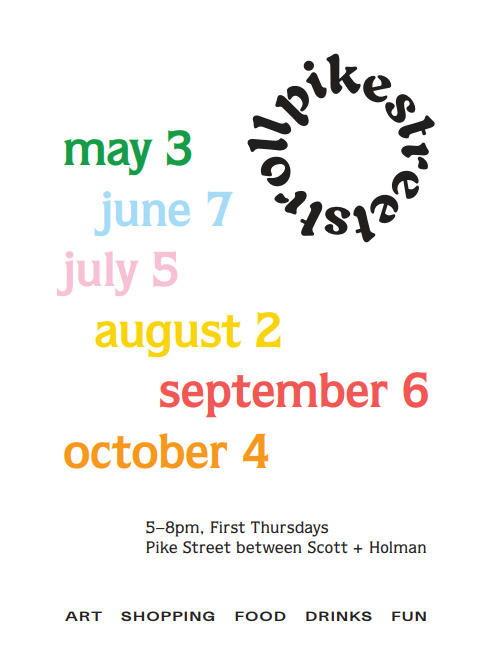 Every first Thursday, 5pm - 8pm, between May and October, join us on Pike Street between Holman and Scott Streets. Browse the galleries, shops, and businesses, have a bite or drink at one of the local restaurants or bars, and enjoy live music as you stroll. We look forward to welcoming you to Pike Street! This event is coordinated by Renaissance Covington with financial support from The Mayerson Student Philanthropy Project at Northern Kentucky University (NKU).